Dr. Hani completed his Diploma in Medical Science from Doneck Medical Institute, Russia in 1989. Dr. Hani has worked in Tashr Hospital, Syria as General Practitioner (Ambulance) and Al Asadi Hospital - Syria as General Practitioner (Internal). He has also been a part of Al Subaida Hospital, Syria as general practitioner (Internal). 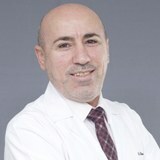 Dr. Hani Bou Arab is well versed in English, Arabic and Russian.